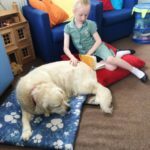 This reading programme improves children’s reading and communication skills by using a powerful tool – reading to a dog. 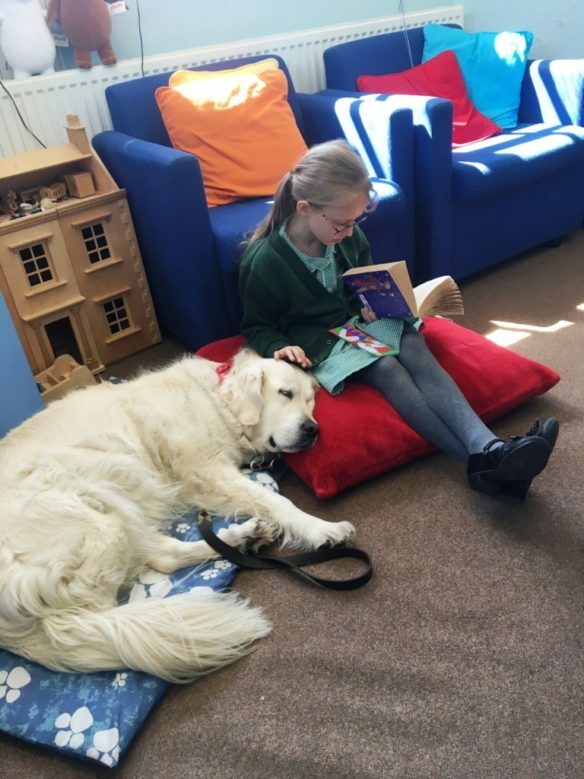 Willow is St. Matthew’s reading dog. Friday is Willow’s favourite day of the week. 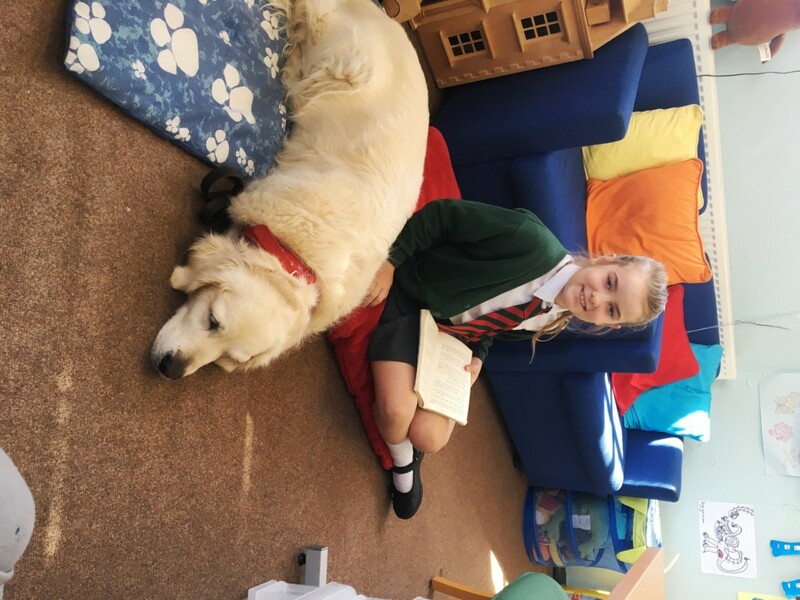 This is because Willow comes to St. Matthew’s school for the day and listens to children read. 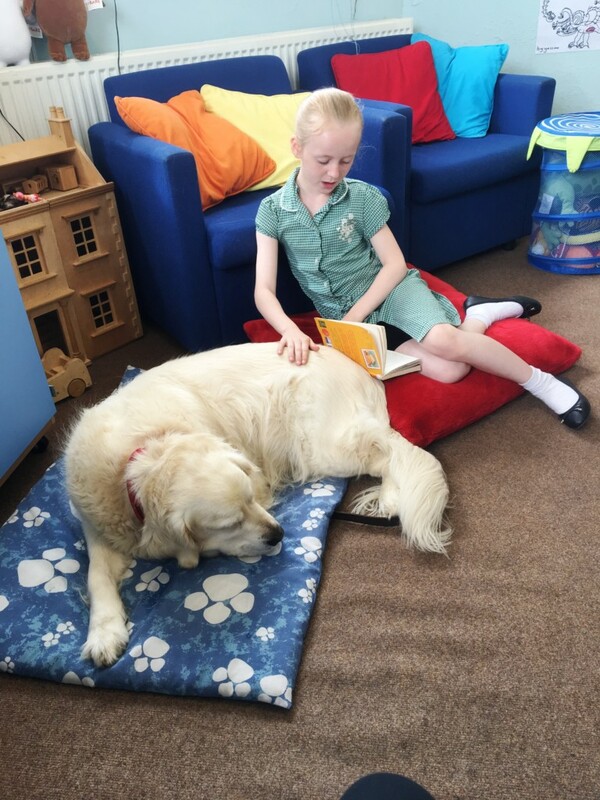 Reading to Willow is a therapeutic experience. 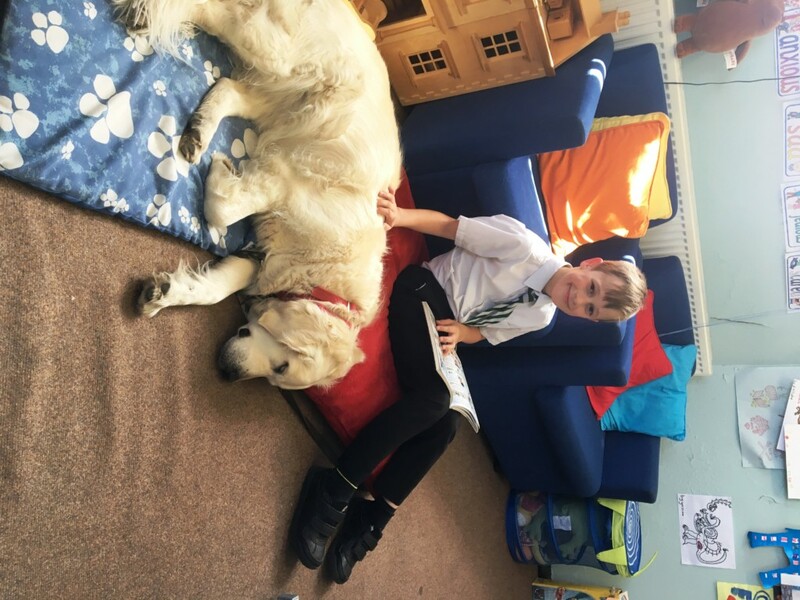 Willow creates an environment that is calm and relaxed; she welcomes the children and then curls up beside them waiting for the story to begin. 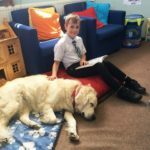 Children who are struggling to read benefit from the simple pleasure of reading to a non-judgemental, loyal and loving listener. 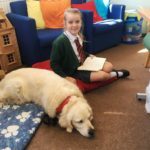 Reading to Willow builds up confidence and motivation to read. More able readers can experiment with intonation and expression which usually results with Willow pricking up her ears. 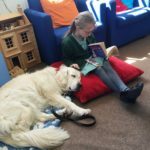 Reading to Willow is both unique and unforgettable, an experience that can change a child’s outlook on reading altogether.